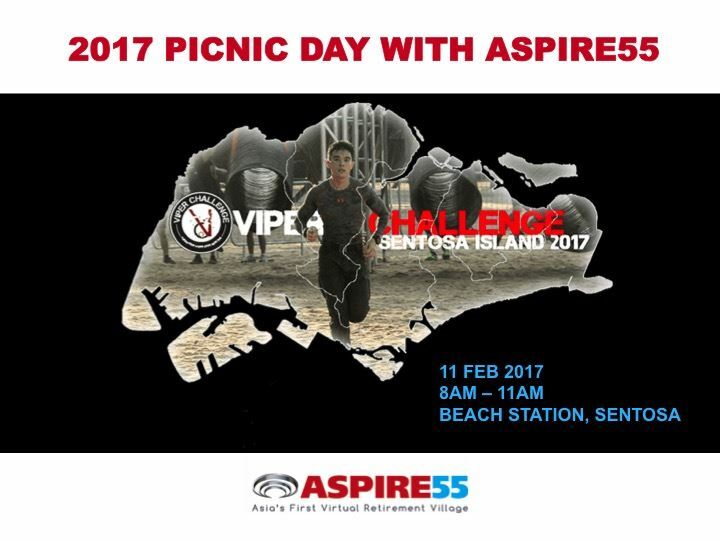 Join our 2017 Picnic Day with ASPIRE55. We will be having a picnic at Sentosa. Everyone attending the picnic is invited to bring a little something to share. It can be as little as a bag of chips, or even a home made platter of sandwiches or some fruit. There is no cost to attend, just your own entry fee to Sentosa. Plus, we will be cheering our staff, Norman, as he takes part in the Viper Challenge Race that will be held at the same venue. This is a very challenging obstacle race and it will be really exciting and fun to watch too. Come on your own, with a friend, or bring your whole family along. Do bring a mat along if you are coming with a group. We look forward to meeting you. 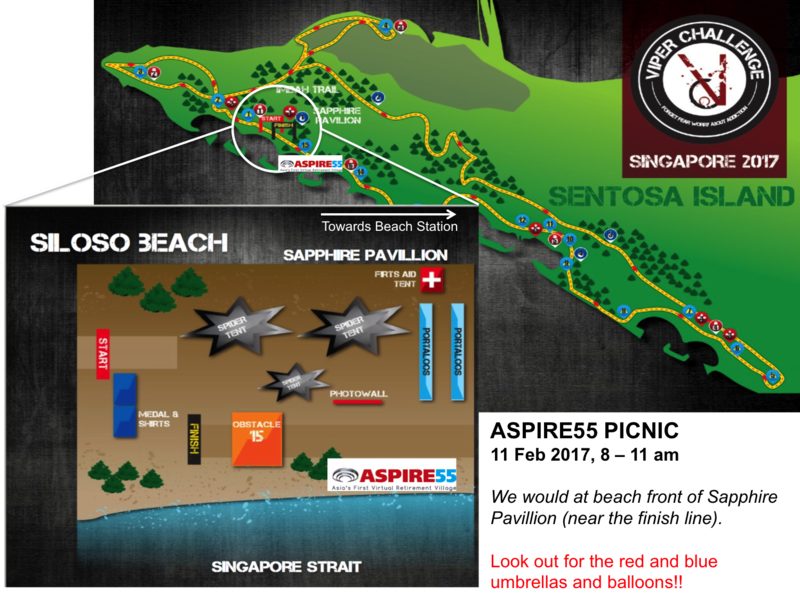 Look out for the blue and red balloons and umbrellas, and the giant picnic mat for Team ASPIRE55, near the beach front of Sapphire Pavilion. Take the Sentosa Monorail Express from Vivo City, alight at Beach Station. Approx a 10-15 minutes walk (along the pavement) to Sapphire Pavilion @ Siloso Beach.